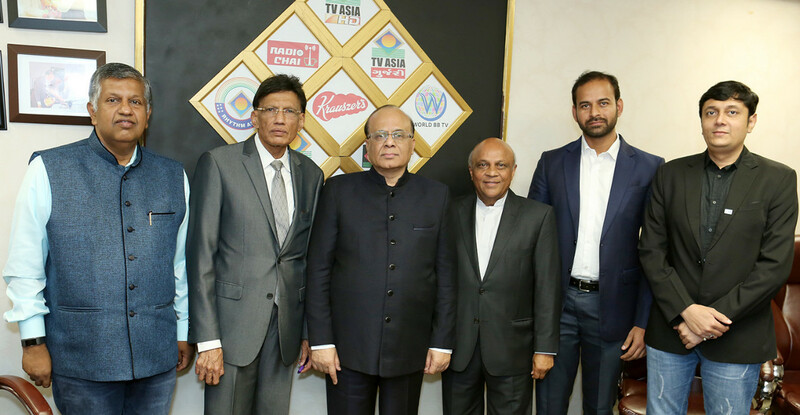 From right, Padma Shri H R Shah, TV Asia chairman and CEO; H P Rama, chairman of the board, Auro Hotels; Arvind Agarwal, Additional Chief Secretary, Finance, Govt. 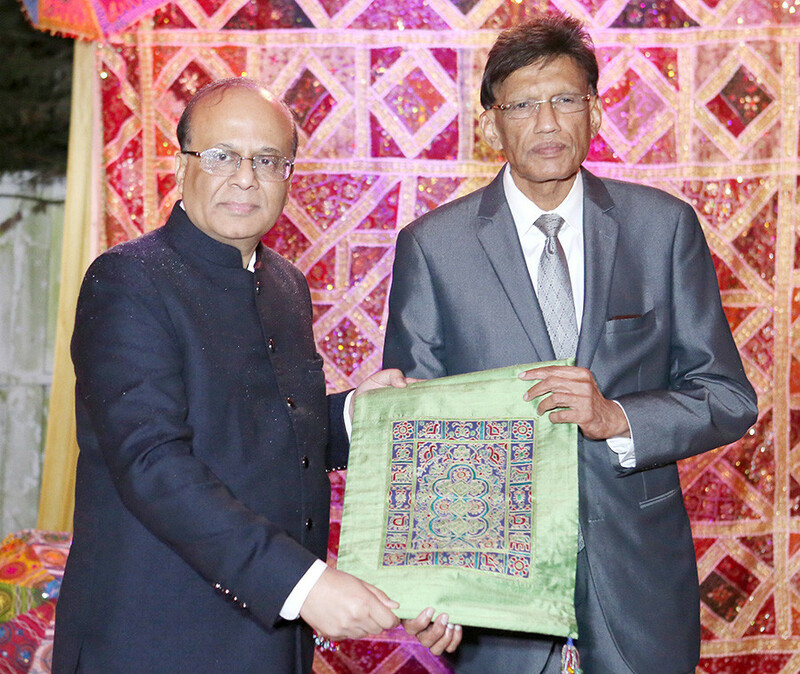 of Gujarat and Minesh Patel, president, Gujarati Samaj of New York, at the meet and greet with Gujarat delegation at Akbar restaurant in Edison, NJ on Oct 6. 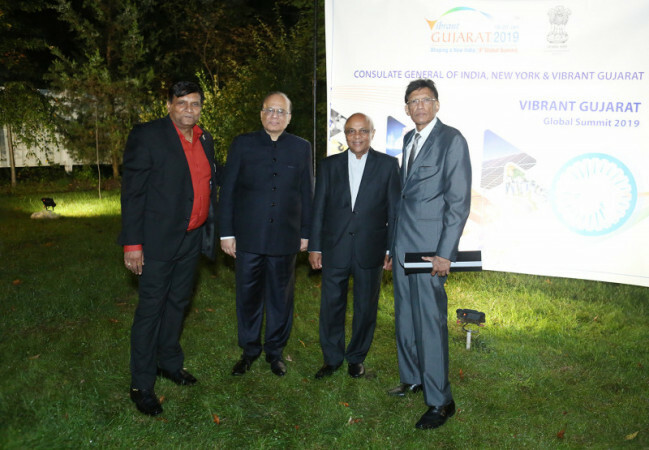 The Consulate General of India in New York hosted a meet and greet at the Akbar restaurant in Edison, NJ, on Oct 6, with the delegates of “Vibrant Gujarat” Global Summit 2019, scheduled in Gujarat, Jan 18-20, 2019. 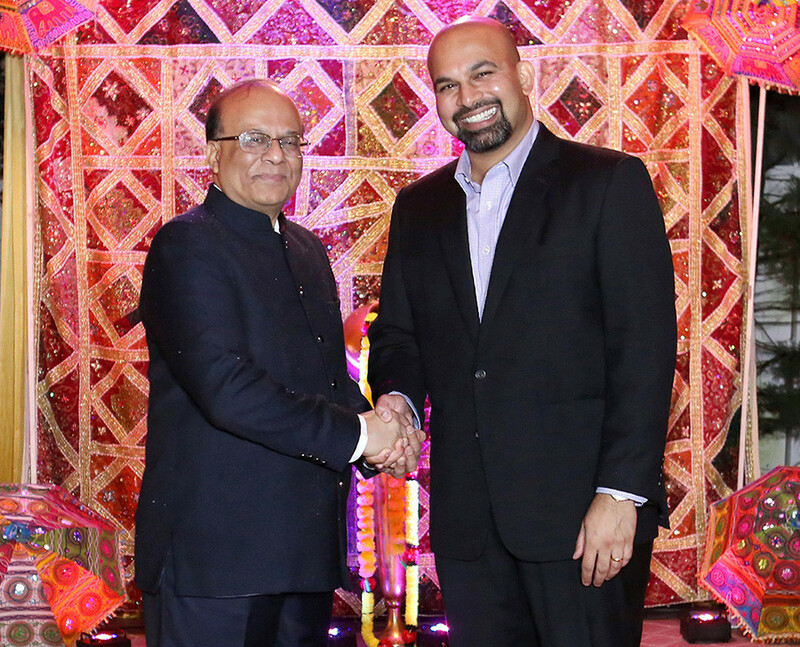 The delegation is being headed by Arvind Agarwal, Additional Chief Secretary -Finance of the Gujarat Government. The power-packed 13-member delegation included other state government officials from Gujarat as well as representatives from Amul; Zydus Cadilla Healthcare; Concord Biotech; GIFT City; IFSC Exchange; National Stock Exchange; Reliance Industries; Auro Hotels and iCreate. Earlier on Oct 5, the Consulate hosted another meet and greet with the delegation in New York, along with Bharatiya Vidya Bhawan and Gujarati Samaj of New York.